Film interpretations of literary works are unfortunately subject to comparison with their wordy counterparts and generally make a poor comparison. Sherlock Holmes’ three writers deftly sidestep this risk by taking Arthur Conan Doyle’s characters and situation and giving them a new plot. The result, I think, is a crime story that the master crime writer would have been proud of. 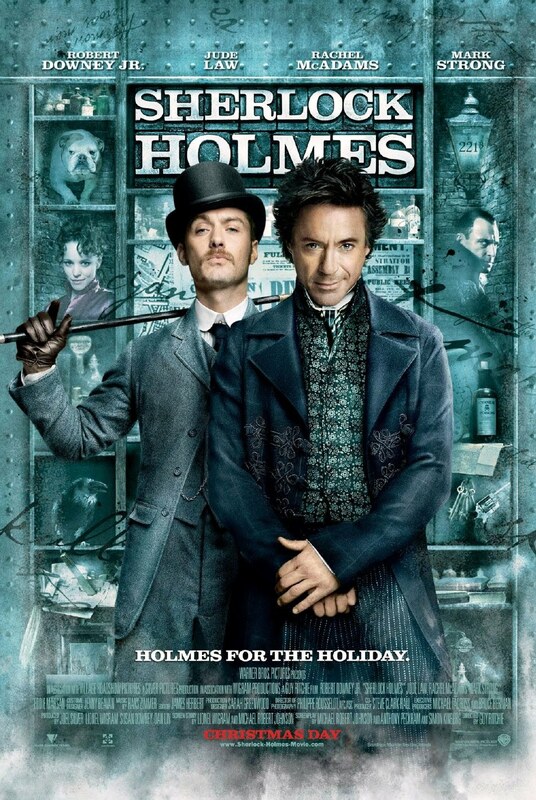 This film departs dramatically from the tradition of depicting Holmes as a Victorian aristocrat and instead shows him as a hero not unlike Spiderman or Mr Incredible, but with substantial flaws that both endear him and make him repugnant to a twenty-first century audience. Robert Downey Junior plays him admirably, but Jude Law’s Watson is the star performance here. Just as in Doyle’s novels, where Watson is the link between the reader and the aloof Holmes, Law’s Watson gives the audience a central character that makes the detached genius accessible. This film is unmistakably a product of the twenty-first century, but it manages at the same time to illicit that same sense of intrigue from me that reading Doyle’s stories does. The makers of this film have been bold, even brazen, in their interpretation of Doyle’s characters and situations, but the gamble has paid off, and Sherlock Holmes is, as a result, the first film to do Arthur Conan Doyle’s characters justice.